"Random Topography" I, pierced, and sweat-soldered. 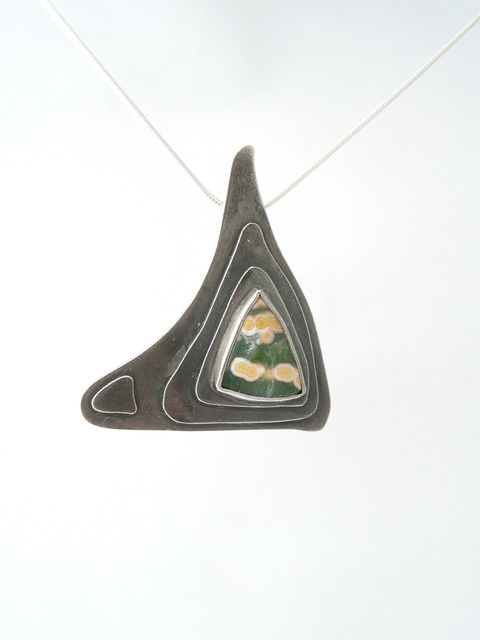 Sterling silver, and jasper, 2" x 2", 18" chain, 2012. Sold.